The GAN354 M is a new STICKERLESS speedcube from GAN combining the best technology and design from the GAN AIR SM and the latest innovations found in the GAN 460. The smaller 54mm speed cube will suit those with smaller hands, and should become a favourite for one handed solves. Total Symmetric Structure (TSS) - The cube has symmetrical design with pieces equally sized. Symmetric clips ensures a beautiful finish and strong contact and makes this Stickerless cube possible. Upgraded GES V3 system - improving corner cutting and your ability to customise the cube exactly to your preferred tactile feeling. GAN Magnet Capsule (GMC) - this new innovation provides a unique capsule which holds the magnets, and then the capsule is locked into place into specifically designed slots. Usually magnets are glued into position, and especially with big cubes there is a big chance of this happening sooner or later. My son is very happy with it. 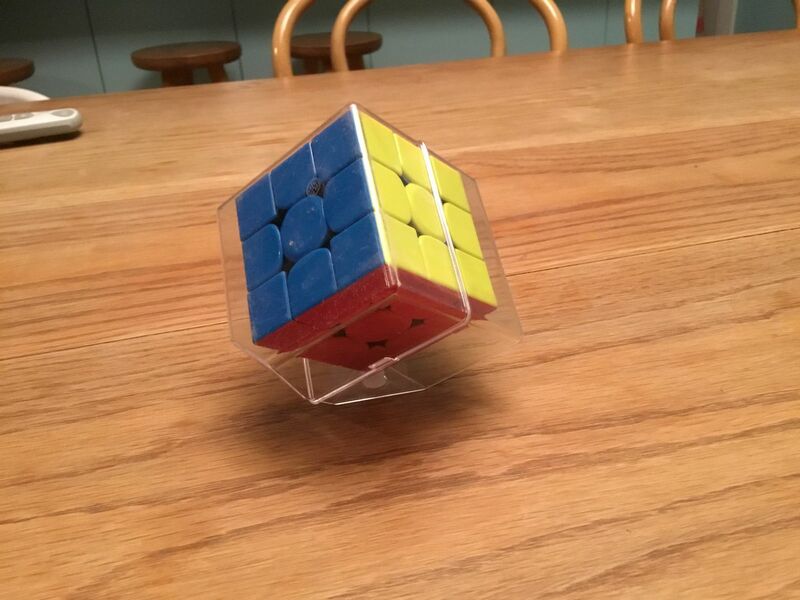 The GAN M is a GREAT cube and I recommend it highly. I am getting my best times ever with a record average of 19 seconds. Buy It! Definitely you're new PB re newer! The GAN 354 M is great straight out of the box! The magnets being exposed helps the puzzle to be sturdy and not overturn! I have done about 150 solves on this cube and it has lowered my average by a whopping 5 seconds!! This is a well done product by @gancube once again! When ordering the 354 M it includes GAN exclusive GES v3 tension nuts. If you're a younger speedcuber and a 56mm is too big for you and you find yourself locking up in hard cases, this is the cube for you! But wait there's more. For all the people with OCD that there puzzle is too quiet, well this puzzle is for you it benefits you as it just as a satisfying click when the magnets contract! This cube deserves a 8/10 from me as the GES system is difficult to screw on and off, and it does not include the GAN 356 X interchangeable magnet system. The 356 X only comes in 56 so that did hit me in the face. This cube felt really nice out of the box, the magnets were not too strong and I loved how this felt in my hands (the 54mm fits well in my small hands). However it was very loose and needed tightening.